Expanded Metal Surface Mount Model Shown. Unique signature DuraLex coating exceeds other coatings such as plastisol and polyethylene in most if not all aspects. 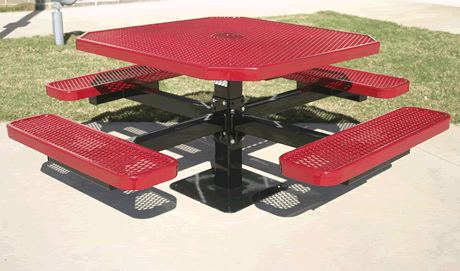 It is the most durable coating on any coated steel outdoor furniture. The coating is grafitti and stain resistant - virtually maintenance free! The smooth finish is both scratch resistant and mar resistant with no drips or runs. ParknPool warrants the original purchaser and not any other purchaser, or subsequent owner, that its Commercial Outdoor Furniture is free from defects in material or workmanship including cracking, peeling, chipping, blistering and corrosion. This Limited Warranty applies only to systems constructed entirely of components manufactured and/or supplied by ParknPool for the applications from the date of purchase for the duration of 7 year under normal use. Damage from abnormal or improper use or design, accident, neglect, abuse, abrasion, air pollutants, improper service or installation, or damage caused by 3rd party, flood, fire or act of God is not covered by this limited warranty. THIS LIMITED WARRANTY IS IN LIEU OF ALL OTHER EXPRESS WARRANTIES. PARKNPOOL MAKES NO OTHER EXPRESS WARRANTIES, AND DOES NOT AUTHORIZE ANY OTHER PERSON OR AGENT TO MAKE ANY OTHER EXPRESS WARRANTIES. 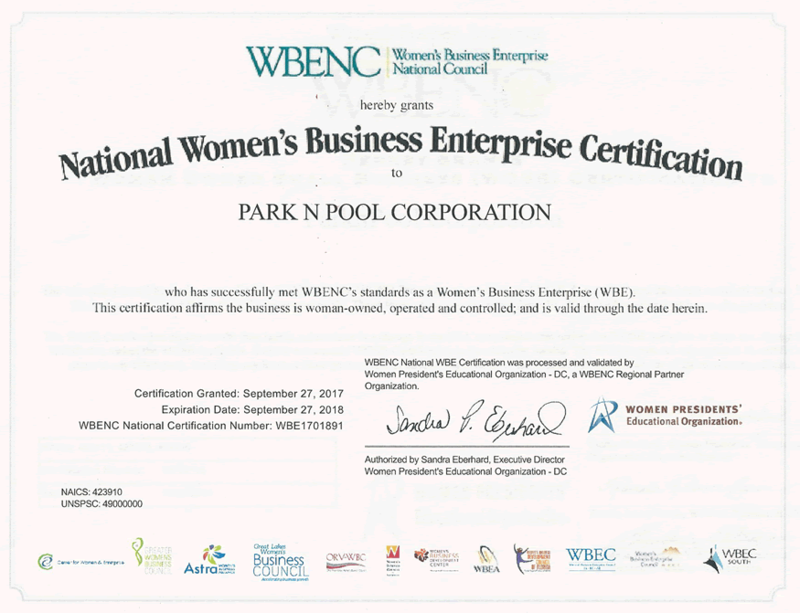 PARKNPOOL NEITHER ASSUMES NOR AUTHORIZES ANY OTHER LIABILITY OR OBLIGATION IN CONNECTION WITH THIS PRODUCT. EXCEPT TO THE EXTENT PROHIBITED BY APPLICABLE LAW, ANY IMPLIED WARRANTY, INCLUDING WITHOUT LIMITATION, THE IMPLIED WARRANTIES OF MERCHANTABILITY AND FITNESS FOR A PARTICULAR PURPOSE WITH RESPECT TO THIS PRODUCT, IS LIMITED IN DURATION TO THE SEVEN (7) YEAR TERM OF THIS LIMITED WARRANTY. IN NO EVENT SHALL PARKNPOOL BE LIABLE FOR ANY CONSEQUENTIAL, SPECIAL, OR INCIDENTAL DAMAGES ARISING OUT OF OR CONNECTED WITH THE PURCHASE OR USE OF THIS PRODUCT OR FOR ANY BREACH OF WARRANTY.